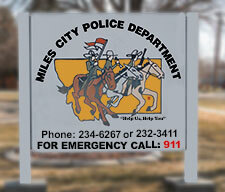 Miles City is fortunate to have an emergency text messaging system available to its citizens. The system, also known as a SMS (Short Message Service), sends emergency alerts to the smart phones of all those who have signed up to receive them – something every Miles Citian should do. These alerts specifically notify citizens of emergency situations including missing children, violent criminals at-large in our town and other serious matters of great concern to residents. It’s a great system that allows the Miles City Police Department to directly and instantly communicate with the people of the community it protects. Of course, for this system to be most effective, the community must participate. 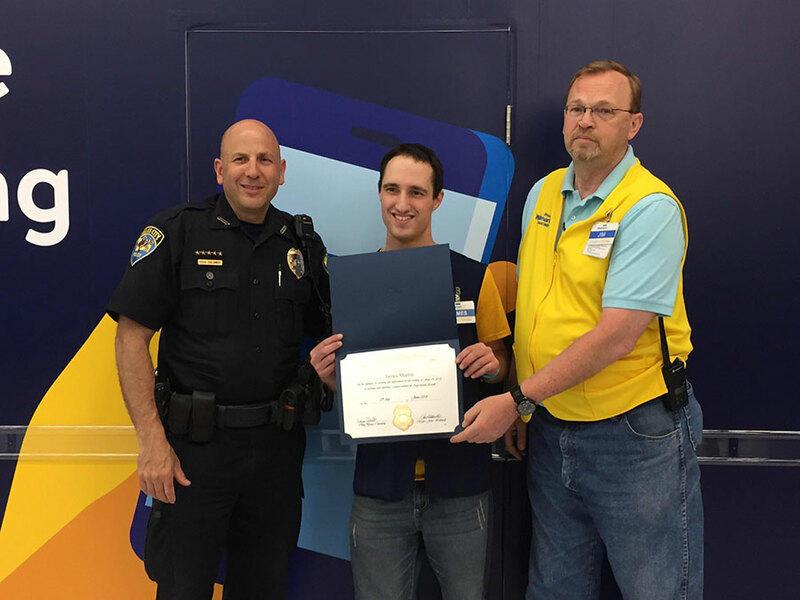 Walmart employee James Martin, shown above receiving a Certificate of Appreciation from Miles City Police Department Chief Colombik, recently responded to an emergency alert. He recognized a woman in the store who seemed to fit the description broadcast in an alert and called the police. The woman was a suspect in a stabbing incident. In less than 20-minutes, the Miles City Police Department was on the scene arresting 57-year old Willene Miles of North Carolina – the woman described in the SMS. Click here to sign up for NIXLE emergency text messages.